When working on a street rod, one of the most important things to keep in mind is safety. All too often, a street rod technican is hurt because safety rules and precautions were ignored. This section presents numerous safety precautions and suggestions to be followed while working on a street rod. 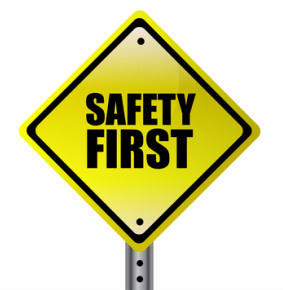 Remember, adhering to these safety precautions is about having a positive attitude toward safety. No matter how many safety precautions are presented, if the technician believes "it won't happen to me" then theses safety suggestions will not be used. On the other hand, the more a technician knows about safety, the more their attitudes change, and thus, the more these safety rules will be followed. This section presents safety precautions and suggestions in various areas. Before working in a specific street rod area, click on that area for a review of important safety precautions.